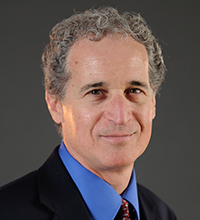 Brian S. Mittman, PhD, is a Research Scientist at the Kaiser Permanente Department of Research and Evaluation, Division of Health Services Research and Implementation Science. He co-leads the UCLA Clinical and Translational Science Institute’s Implementation and Improvement Science Initiative, and has additional affiliations with the US Department of Veterans Affairs (voluntary position) and RAND Health Program. Mittman chaired the planning committee that launched the journal Implementation Science, and is currently co-editor in chief emeritus. He was a founding member of the Institute of Medicine Forum on the Science of Health Care Quality Improvement and Implementation, and past chair of the NIH Special Emphasis Panel on Dissemination and Implementation Research in Health. He serves on the Association of American Medical Colleges Advisory Panel on Research, and on additional advisory committees for research programs, projects, and training institutes in the US and internationally. Mittman received a BSE (engineering) from Princeton University, MA in Sociology from Stanford University and a PhD in organizational behavior and management from the Stanford University Graduate School of Business.